Why do I love Bunny Slopes, besides the fact that it’s just plain FUN? Simplicity. The no-clutter background and limited palette focus every bit of attention on the ONE character with whom kids get to interact. And, looky! There’s even a doll. 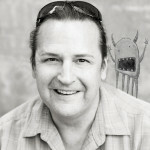 How fun would it be to pair this guy with the book for holiday gifting? Claudia Rueda has written and/or illustrated MANY other books, including Deborah Underwood’s popular Cat series. Visit Claudia’s website here. 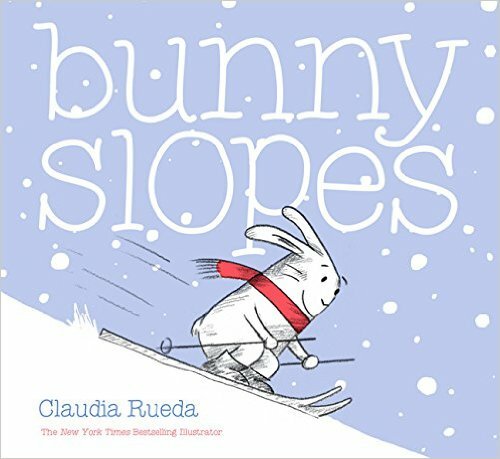 Bunny Slopes, chronicle books, claudia rueda, humor, Jill Esbaum, metafiction. Bookmark. Loved your description of the book and the trailer. Will have to immediately buy this one for myself….I mean for my granddaughter! Hahaha. Yes, you definitely need one of your own, Patricia! Looks fun. And I like those illustrations! Smart, fun, clever, cute and adorable. I haven’t seen the stuffed bunny but I do have the book and it is terrific! Love the trailer too. I only saw the bunny on barnesandnoble.com –- in case you’re interested, Cathy. This looks like a real charmer, Jill. Love the trailer. Can’t wait to check it out. Looks like your lovely daughter is helping you with your holiday shopping list, eh? 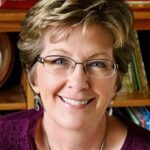 Bet those grandbabies have some amazing libraries! And congrats to Jennifer too about the NYPL list! Yes! Great to have somebody drop gift hints, Linda. And they DO have amazing libraries. I’m happy to help out with that! Thank you for introducing me to BUNNY SLOPES. Such a delightful book. I know a little grandson who must have this book. Oh, and his Oma needs a copy, too. Hi Suzy! You’re very welcome. It’s adorable! Ohh, this is good. Thanks for the recommendation! Isn’t it cuuuute? Thanks for reading, Lindsay! Simplicity ain’t simple. Love her art!! That is one sassy little bunny! Wait’ll you see this one, Kathy! That’s adorable!! Thanks for sharing, Jill :)! Well, I needed a gift idea for a 3 year old. Thanks! This is perfect, Cindy. Simple, yet mind-blowing (near the end)! This looks great! I requested a purchase at our library, but my daughter may need a copy sooner! Great! Thanks, Amanda. It’ll be a big hit! 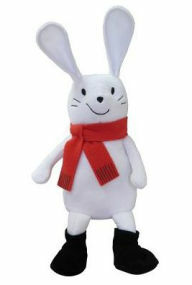 Love a bunny that ventures out in the snow, and especially love that he asks the readers to join him. Thanks for the great review! You’re welcome, Patricia! Thanks for stopping by. Love this! Just saw the trailer and ordered my copy on Amazon! Thank you!